Studio barca 36, Bolonia, Włochy : Rezerwuj teraz! 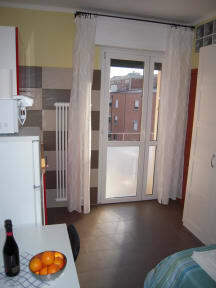 Studio Barca 36 is a small and charming one-roomed flat located on the fourth floor of an old building (without elevator). The studio was fully renovated in 2015 with fine finishes.it is the ideal for a couple or a little family. Here you can find all the amenities for a pleasant and relaxing stay with a modest competitive price. The studio is located in just 3 km from the historic center. A street well served by public transports (the bus stop is near the house), from which you can reach the historical center in just 10 minutes. Nearby there are several typical restaurants, a post office, supermarkets, and a large park that allows a relaxing walks and also in total safety. There are also a free parking. 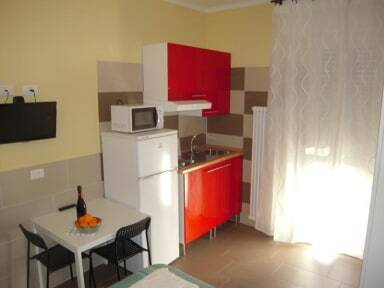 The studio is equipped with a living room with annexed double bed and sofà, and a kitchen. The bathroom is equipped with every comfort (toilet, bidet and shower). Air condition and heating are free. Important: We don t have reception, please call us 48h before your arrival to confirm your check in hour.